The Senior Management of RMK Restoration boasts years of experience in restoration and construction of residential real estate. The combined expertise of our professional management team brings the best of talent to RMK Restoration projects. 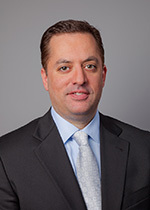 Anthony R. Rossi, Jr. is President of RMK Restoration and is directly responsible for oversight of all rehab programs at properties managed by RMK Management. Mr. Rossi has overseen rehab programs totaling more than $35 million dollars and include extensive renovations to the interior apartments, common area improvements, updates to existing clubhouses and the demolition and construction of new property clubhouse facilities. Mr. Rossi, received a B.S. from Miami University in Oxford, Ohio in 1991 and is a Licensed Broker in Illinois and Minnesota. Mr. Rossi is also an Accredited Residential Manager (ARM). 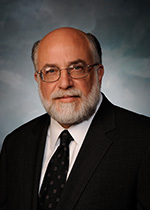 Paul Marucci is Senior Vice President of M&R Development and has over 33 years of experience in construction estimating, contract administration and project management. Mr. Marucci’s background includes design supervision and construction of multi-family residential, hotel and industrial projects. Prior to joining M&R Development, Mr. Marucci was a senior vice president at McShane Construction. Mr. Marucci holds a B.A. from Cleveland State University and is a LEED Accredited Professional in Building Design and Construction. As a construction consultant, Buddy Wright has worked with M&R Development on over 3,000 new apartment units as well as the on the renovation of more than 1,000 apartments for sister company, RMK Restoration. Mr. Wright brings the benefit of 32 years of experience in housing construction, land development, contracts and purchasing to the M&R Development team. 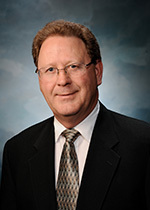 Mr. Wright spent a significant part of his career with Lexington Homes, the largest home builder in the Midwest, where he served over time as that company’s production manager, director of customer service and purchasing manager. Mr. Wright was also formerly a partner in New Horizon Construction Management Company as well as a project manager for Ryland Homes. In addition, Mr. Wright served as an advisor to Aspen Homes and was a construction consultant to AMLI Residential Properties Trust in the development of AML at Fox Valley and AMLI at Oakhurst North.